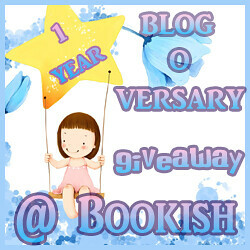 This year, together with 10 other wicked awesome bloggers, we are hosting 2012 TBR PILE Reading Challenge (the sign-ups are still open and every month we are giving away book prizes!). Favorite Vlog: Matt Merrick and "What It Takes to Be a YA Galaxy Defender? "Thanks to this blog and my involvement in the book-lovers community I have met some absolutely fabulous, supportive, kind, lovely people. I love all of you guys, seriously! Some of you have become close friends of mine. You come back to comment on my posts, you stalk me on Twitter and Goodreads, you're my book soulmates and more!